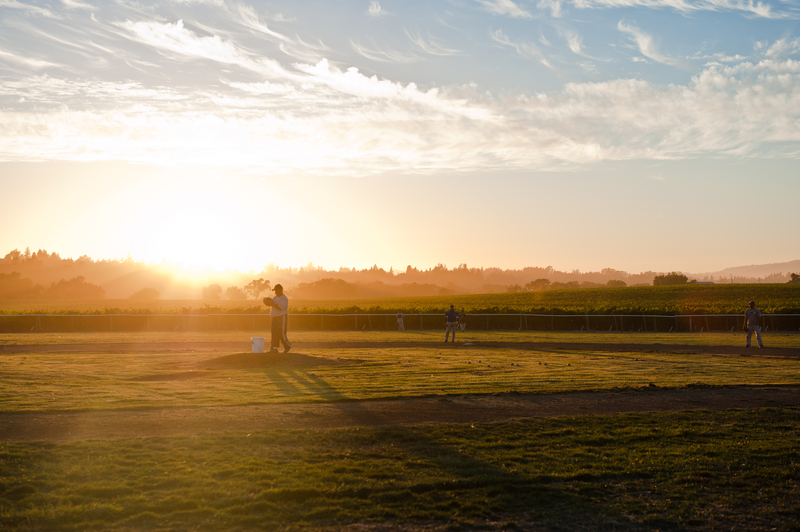 There are some pretty cool baseball diamonds in California. The cove-abutting confines of AT&T Park, the historic Oakland Coliseum, Chavez Ravine's Dodger Stadium and the host of this summer's All-Star Game -- Petco Park. 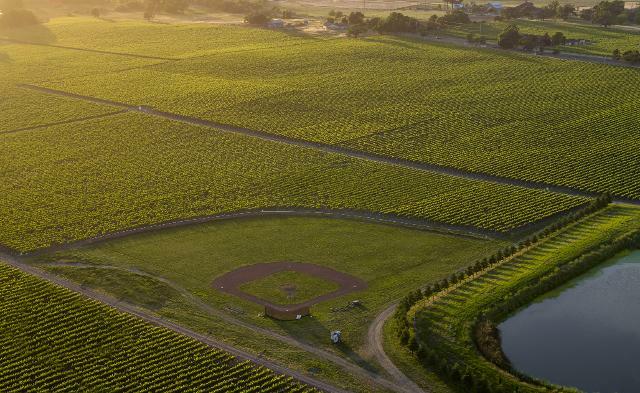 About 40 miles north of San Francisco, in Sonoma County, lies another unique field. It's not of the professional variety, so it's never hosted celebrities like Lil Wayne to sing "Take Me Out to the Ballgame" (YET! 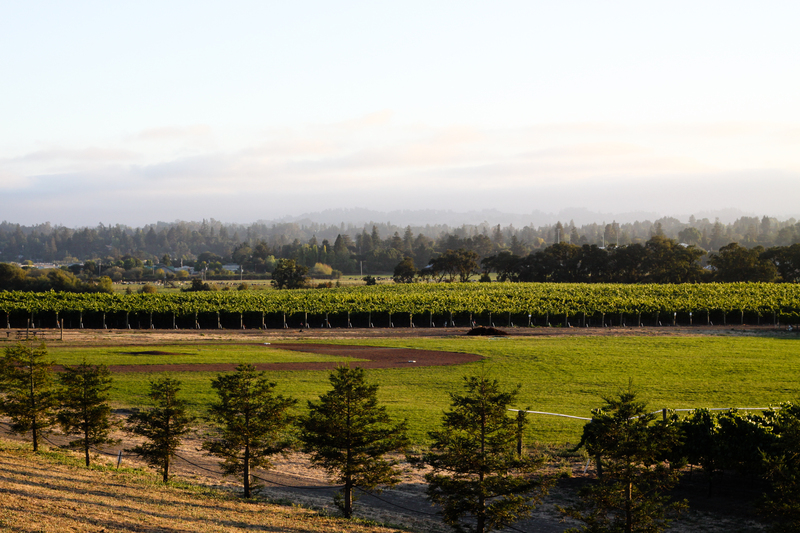 ), but it is completely, and quite majestically, surrounded by a fully-functional wine vineyard. You can usually catch adult league action on Sundays in the spring and summer. Anywhere around the field is probably good viewing, but down the first-base line seems like a tasty spot.